Retargeting is the systematic process Facebook creates when people engage with your adverts. 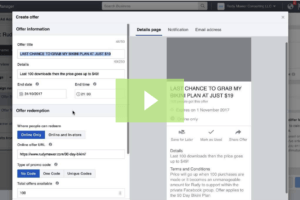 This retargeting is one of Facebook’s most powerful tools, with many marketers who are part of ROI Machine, myself and other top 7-10 figure Facebook Marketers are using to improve the advert ROI and up to 10x more profits. This is created after the first few adverts (if you don’t have a decent amount of website traffic) and is normally based on previous website visitors or members, known as ‘warm traffic’. Once you have a ‘pool’ of warm traffic you can then retarget the fan or consumer and, as you would expect, get far better engagement and advertising success as they already like, trust and are interested in what you have to say (as long as you are providing good quality content of course). 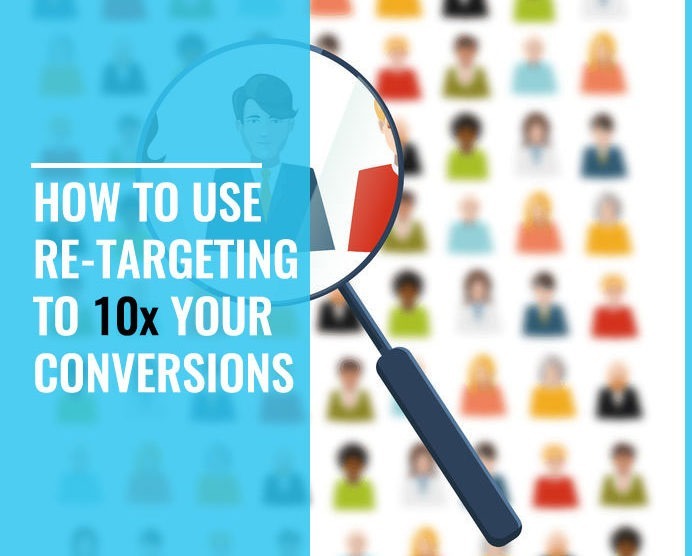 So how can you increase the efficiency of re-targeting to increase your conversions by up to 10x? Well there are a lot of little things that can be done to keep bumping up your chances of conversions, but simply using a re-targeting system, (while advertising the very same advert), can be a great first step. Here’s some of my favourite methods to 10x your Facebook advert revenue and success. If you personalize the advert to a specific audience’s needs, interests or pains you will increase the chances of conversions, interaction and sales (more on this later). You can also section them off and get very specific depending what area of the site they have visited. For example, if a user visits only your home page, you can retarget your ads to drive them to other areas of the site to further their knowledge and move them down the ‘funnel’. Another great is example is if they’ve visited a specific blog post on a topic you can then personalize an advert and send them to something else highly relevant, for example, another blog post on that topic or a sales page for a similar product / service etc. 1. Send them to the blog or home page of the website, get them familiar with you and your work. 2. Show them some testimonials or more about you, why your services are unique and how you can help. 3. Get them involved in a free trial, free challenge, give them a free eBook etc. 4. Show them a low-cost product which can add tremendous value and ensure trust in your service. 5. Provide them with chances to move onto the next product, which may be a higher ticket product such as 1:1 coaching or a more expensive program etc. Along with this main overview, another perfect example could be if a visitor has clicked to put an item in the shopping cart and then quit the checkout. This is literally one of the best audiences and converts amazingly. They were so, so, so close to buying and may have just been distracted, for example, the doorbell rang, they couldn’t find their credit card etc. If you’ve been on Facebook for sometime, you will see that person who just bombards you with ads. When this occurs, you may find myself yourself slightly agitated and questioning the intention of the product/service, with it quickly becoming “spammy”. For this reason, it is wise to not over-kill a small audience with just sales based adverts, which is why I have a whole chapter in the 24 Hour Facebook Mastery Program teaching people how to find multiple interest and audience channels on Facebook, rather than spamming just one or two interest groups for months and months. Remember, we are always looking at a long-term strategy, don’t sacrifice short-term profits and kill your audience, fans or even your email list etc. If They’ve Converted, Leave Them Alone and Segment! Follow on from the above it’s also worth stating that sending ads to users who have already bought the product/services is a waste of money and also may reduce the customer’s experience. Luckily, this is a easy fix and you can segment these people off and exclude them from future sales-based adverts. Instead, focus on upselling and cross-selling these people with other products, services or affiliate schemes. Remember, the whole idea is to shift a person down the funnel and make them into one of your best customers. A/B or split testing is a great way to see exactly how ads perform and ultimately filter or cancel out the poorer adverts and then further promoting the best… increase your revenue. The concept is quite simple, you have two or more different ads that are tested against each other on several aspects. These tests will determine important stats such as conversion rates, cost per click, shares etc. Split testing or A/B testing is a vital part of digital marketing. Without it, you really have no clue what works and what doesn’t. After testing 100s of adverts, I can honestly tell you sometimes the last advert you expect to do well converts the best. In contrast, some of the best adverts that you are fired up about convert terribly. Human nature. We are all different so don’t guess… TEST! Urgency is one of the most powerful conversion factors, especially when it comes to lower cost digital products. Any idea what site made millions based on this whole concept? Ever purchased that SALE item? Why, well not only is it reduced, but, you know it won’t be around for long. Using countdowns gives the user a time limit, it’s either now or never. For low ticket products, this often causes random and spontaneous purchasing. For higher ticket products, when they may save $500 it can sway people to buy, rapidly increasing your revenue. This is the same process with limited copies of books or spaces to an event, along with it giving a sense that your product is in high demand by others. 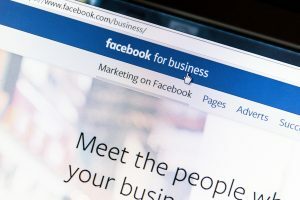 Implementing these methods is a win-win, especially when boosting it to an audience that has already shown an interest in the program with Facebook retargeting. Build Your Business for $10 Per Day… Today! Hopefully you can now see how some of these powerful tricks and tips can quickly 10x your net profit on Facebook adverts. I’ve tested over 2000 adverts, spending close to 1 million dollars on Facebook Adverts alone. I’ve helped everyone from single man personal training start ups to billion dollar companies run successful marketing campaigns to quickly scale and increase revenue. Now, it’s my time to give back and help you take the next logical step so you can grow your business. If you are ready to move forward, you can get my famous $10 advert plan now, learning all my secrets that I used to build a $500,000 (yes, half a million) dollar business in 6 months. Click HERE to save 75% off and get this entire plan for less than a single meal out. This will likely be the best single move and investment you make this year, or possibly this decade.